With the party season comes many, well, parties. And with parties comes a need for dresses. But with Christmas coming, I like many, will be looking to affordable fashion to style up looks on a budget. So when Fashion Vouchers got in touch asking me to take part in their Xmas Party Outfit Blogger Challenge, I thought why not? The rules - you can use any discount or voucher code (has to be live at the time you post your look) to create a party outfit for under £100 using the merchants from the following list. 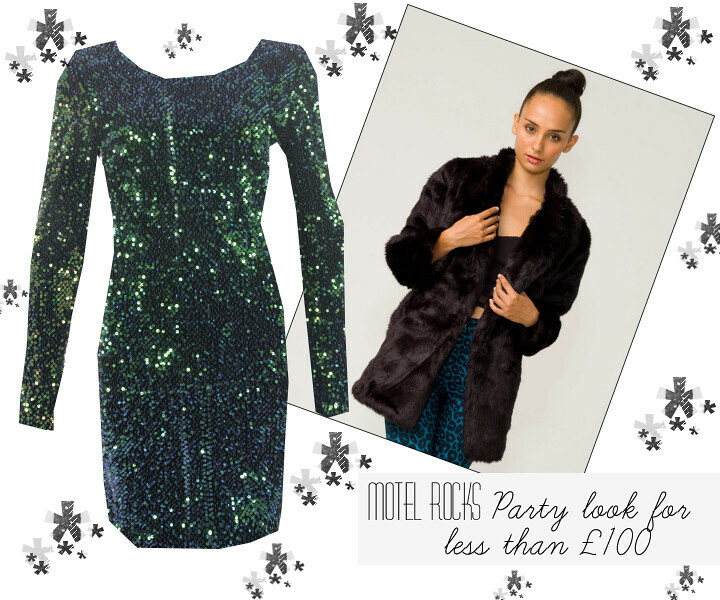 So here is my party look for under £100. I'd team this gorgeously festive Gabby dress with the ultimate Winter cover-up - the faux fur coat. Greens and reds are the Christmas colours to be seen in so this sparkly dress will have you the centre of attention at any party or get together - perfect for a NYE celebration. And then at the end of the night you can snuggle up in this soft faux fur coat - equalling a look that's super stylish whilst being practical too - who says you can't have the best of both worlds?! If you'd like to enter the competition yourself, click here for more information. Good luck!